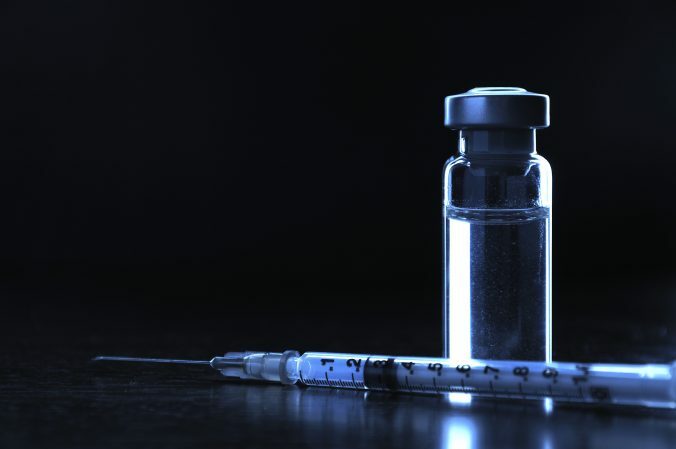 This article will take a look at hepatitis B, the vaccine, and some of the nonsensical claims of the anti-vaccine world. HBV is not spread through casual contact. Sharing food, water, or eating utensils, breastfeeding, hugging, kissing, coughing or sneezing will not transmit the virus. An estimated 850,000–2.2 million persons in the United States have chronic hepatitis B virus infection. Worldwide, it is estimated that over 240 million are infected with the virus. There are two versions of a hepatitis B infection – acute, which can be asymptomatic or mild, or chronic. According to the CDC, approximately 25% of children along with about 15% of adults who become chronically infected die prematurely from cirrhosis or liver cancer. In the USA, hepatitis B infection kills about 1,800 people a year. The reason the hepatitis B vaccine is so important for infants is that approximately 90% of infants along with 25-50% of children aged 1-5 years who contract hepatitis B will remain chronically infected. On the other hand, approximately 95% of adults recover completely from a hepatitis B infection, and never become chronically infected. The hepatitis B vaccine has been immensely successful in reducing the number of cases of hepatitis B in the USA. The rate of new hepatitis B infections has declined by approximately 82% since 1991, when routine vaccination of children was first recommended. No, this decrease did not result from a miracle cure, new sanitation technology, or better nutrition – without a doubt, it’s a result of vaccines. As a result of the ACIP recommendations for the vaccine, the American Academy of Pediatrics has decided to rescind the same permissive language to sync with the CDC’s vaccine schedule. Despite the fact that the hepatitis B vaccine prevents the chronic version of the disease in infants. Despite the fact that chronic hepatitis B is deadly to children. Despite the fact that the hepatitis B vaccine has reduced infections by 82% since first recommending the vaccine. Despite all of that, the anti-vaccine forces loathe this vaccine. These people make all kinds of unsupported claims about the “dangers” of the hepatitis B vaccine. Of course, all medical procedures have risks, some serious. However, vaccines are among the safest medical procedures. And as far as I can tell, the hepatitis B vaccine is one of the safest of vaccines – this is supported by real scientific evidence. Furthermore, the anti-vaccine world tries to convince everyone that risk of hepatitis B is overstated. Essentially, in the eyes of the anti-vaxxers, the only infants that are at risk for the infection are the children of drug addicted prostitutes. Unfortunately, that seriously trivializes the risks of hepatitis B. Even if the mother is hepatitis B-free, there are other unpreventable risks that could happen. A friend or family member could have asymptomatic, and spread the virus through a cut or something else. The child could engage in sexual or other risky activities as a teen. And I could imagine dozens of other scenarios where the infant or child could be at risk of contracting the disease. Similar to the case made about the HPV vaccine, the anti-vaccine crowd says that their child will never engage in activities that would put them at risk. They never will be in a situation that would put them at risk. But that’s just an incredibly naive way to look at the world. We vaccinate not because we think our children will do things that put them at risk. We give our children the hepatitis B vaccine because we cannot predict when or if a situation arises that does put our children at risk. Lewis E, Shinefield HR, Woodruff BA, Black SB, Destefano F, Chen RT, Ensor R; Vaccine Safety Datalink Workgroup.. Safety of neonatal hepatitis B vaccine administration. Pediatr Infect Dis J. 2001 Nov;20(11):1049-54. PubMed PMID: 11734710. Mast EE, Margolis HS, Fiore AE, Brink EW, Goldstein ST, Wang SA, Moyer LA, Bell BP, Alter MJ; Advisory Committee on Immunization Practices (ACIP).. A comprehensive immunization strategy to eliminate transmission of hepatitis B virus infection in the United States: recommendations of the Advisory Committee on Immunization Practices (ACIP) part 1: immunization of infants, children, and adolescents. MMWR Recomm Rep. 2005 Dec 23;54(RR-16):1-31. Erratum in: MMWR Morb Mortal Wkly Rep. 2006 Feb 17;55(6):158-9. MMWR Morb Mortal Wkly Rep. 2007 Dec 7;56(48):1267. PubMed PMID: 16371945.